BONJOUR A TOUS.J'ai un grand retard pardonnez moi mais j'ai toujours ce vieux PC alors j'attends mon nouvel ordi pour bien occuper mon blog Je vous souhaite un bon visionnage de New Moon au cinema. A bientot bisous a tous. Twilight : Fascination : le film ______________________________________________________________ Source :Fascination50™ _________________________________________________________________________________________________________________________________________ Article : Anaëlle ________________________________________________________________________ Copyright © 2009 France-Twilight. Sous-titre vo : When you can live forever what do you live for? * When you can live forever .. What do you live for ? What if I'm not the hero, what if I'm the bad guy ? Twilight : Tentation : le film ______________________________________________________________ Source :Fascination50™ _________________________________________________________________________________________________________________________________________ Article : Anaëlle ________________________________________________________________________ Copyright © 2009 France-Twilight. Début du tournage : Mars 2009. Lieux : vancouver (à partir 23.03.09),Portland, Italie (Rome,Volterra & Montepulciano en 05.09). - Forbidden to remember; terrified to forget : Interdit de se rappeler, terrrifié d'oublier. - Somewhere, a clock is ticking : Quelque part une horloge tourne. - It will be as though I never existed : Ce sera comme si je n'avais jamais existé. - Love Bites Back : L'amour se venge. 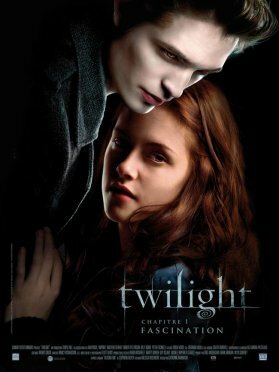 Bella Swan - Kristen Stewart : Edward Cullen - Robert Pattinson : Rosalie Hale - Nikki Reed : Alice Cullen - Ashley Greene : Jasper Hale - Jackson Rathbone : Emmett Cullen - Kellan Lutz : Carlisle Cullen - Peter Facinelli : Esme Cullen - Elizabeth Reaser : Charlie Swan - Billy Burke : René - Sarah Clarke : Billy Black - Gil Birmingham : Emily - Tinsel Korey : Caïus - Jamie Campbell Bower : Aro -Michael Sheen : Jane - Dakota Fanning : Victoria - Rachelle LeFevre : Laurent - Edi Gathegi : Eric Yorkie - Justin Chon : Jessica Stanley - Anna Kendrick : Mike Newton - Michael Welch ...... & Les loups garous :Taylor Lautner: Jacob Black - Chaske Spencer: Sam Uley - Tyson Houseman: Quil Ateara - Alex Meraz: Paul - Kiowa Gordon: Embry Call - Bronson Pelletier: Jared - Tinsel Korey: Emily - .